It's an American twist on the classic Australian meat pie. Our savory pastries are filled with all-natural ingredients and wrapped up in a delicious flaky pastry. Perfect for breakfast, lunch, dinner -- or anytime in between! Find us in the better-for-you section of the frozen aisle. Oven quality taste with microwave convenience. Short on time? Cooking for a family of picky eaters? No problem. Each one-pack Boomerang can be microwaved right inside the box, for an oven quality finish in just 3 ½ minutes. With a variety of meat and veggie varieties all in a single-serve package, this is a convenient, healthy meal everyone can enjoy. All-Natural Meats | No Preservatives | No Antibiotics or Hormones | It's real food, mate! Whatever cuisine you prefer, Boomerang's has a taste for you. 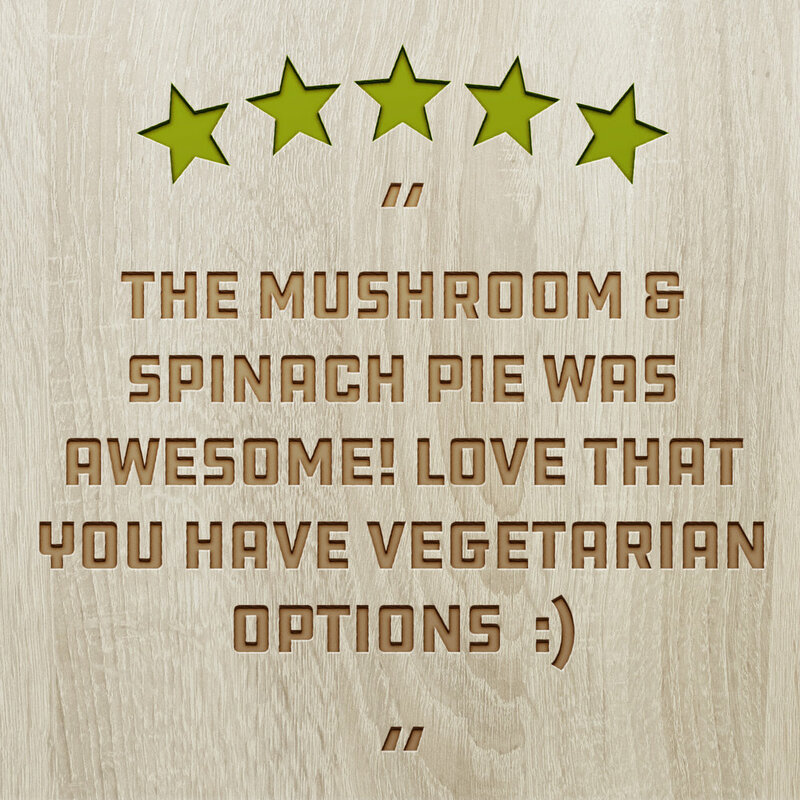 Real reviews on real food from real people. CHANCE TO WIN FREE PIES FOR A YEAR! We love hearing from our customers and appreciate your feedback. *Official entry rules available at this link. At Boomerang's, we are committed to providing a unique, convenient meal made with ingredients that matter to you. That means we only use all-natural white meat chicken, steak, and pork raised without antibiotics. Our meals never have nitrates, nitrites, or preservatives. Lance McInnes discovered this Australian delicacy while in Queensland. Back in the States, Lance found Boomerang's. The two quickly recognized a shared vision and partnered to offer Boomerang's throughout America. From the beginning, Boomerang's focus has been convenience and real, quality ingredients. With no preservatives or antibiotics in any of our meats, our all-natural, Aussie-inspired food is poised to flip any American's meal time upside down-under. Meals on Wheels and More is one of the largest meal-delivery organizations in Texas, distributing meals each business day to homebound older adults and people with disabilities. This year, Boomerang’s sponsored 2,000 meal deliveries. This included the purchasing, preparation, and packaging of the meals. We even drove a few delivery routes!